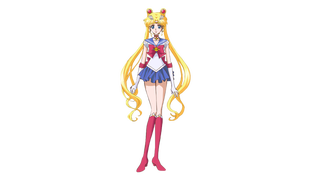 The upcoming Sailor Moon reboot, which debuts on July 5th, features redesigns of all our favorite Sailor Scouts. The changes aren't too dramatic or anything, judging from the art shared by Crunchy Roll. But everyone certainly looks different from the designs in the original anime. Most notably, all the Sailor Scouts have impossibly long legs. The sorts of legs that make Girl's Generation seem laughable, really. It's also hard not to note just how slender the new Sailor Scouts are. It's kind of intense! Let's compare their old looks to their new looks, shall we? Note that we'll show the old designs, followed by the new designs, and that the new designs more closely resemble the characters in the manga. You can read more about the new anime, including what voice actors will be making a return, here. But I'm curious: what do you think about the redesigns? Love em? Hate em? Let us know in the comments—and remember that you can use our special annotation system to pinpoint specific areas on the pictures, if you'd like.